Today, I (Sandy) would like to celebrate YOU! Why? Because you are unique. You may say, “What is so unique about me?”… Well, that’s a great question! The context of this verse discusses the incredible nature of our physical bodies. The human being is the most complex organism in the world, and that complexity speaks volumes about the mind of its Creator, the Creator of the Universe. Every aspect of the body, down to the tiniest microscopic cell, reveals that each of us is fearfully and wonderfully made! 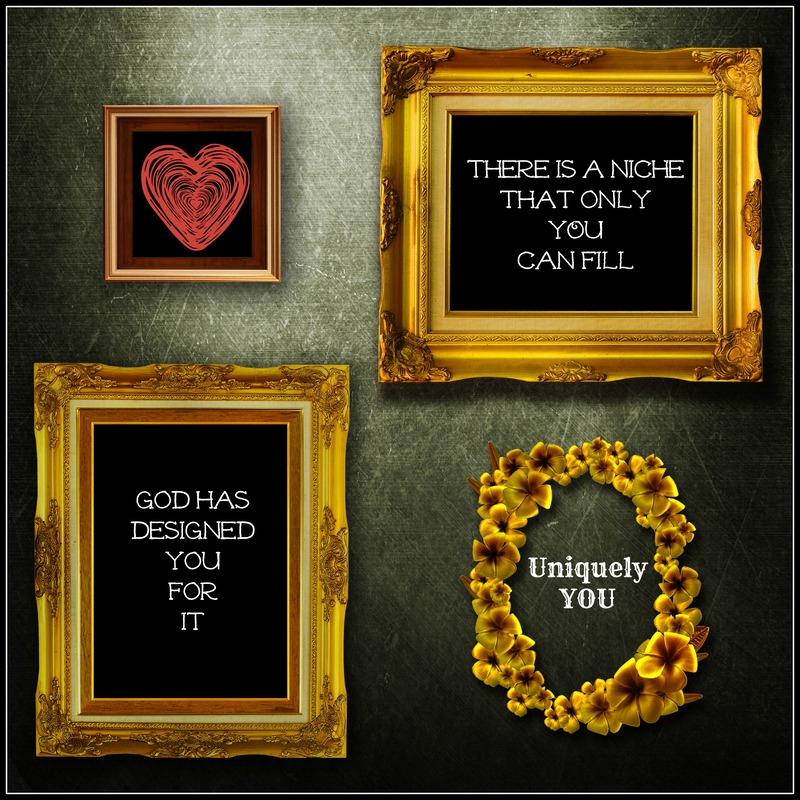 So you were created as a one-of-a-kind! Completely unique. And when something is unique, it is the only one. No one has ever existed exactly like you before, and no one will ever be exactly like you again. But… just because you are “uniquely you,” the “only one,” does not mean that you have to be alone! In fact, some current research on friendship suggests that 72% of women can increase their endorphin levels just by chatting with a pal for 15 minutes each day. Friendly communication stimulates the brain and ramps up endorphin production in much the same way that exercise does (University of Rochester, New York). It is also interesting to note that studies have shown that even watching others do acts of kindness towards others can benefit the health of the person witnessing those acts! So what does this mean? That we are healthier when we are connecting and nourishing our relationships! In Ephesians 1:1 he writes, “To the saints in Ephesus, the faithful in Christ Jesus…” Paul is addressing the larger community of the church. A community composed of many unique individuals. And in Ephesians 6:10-11 he states, “Finally, be strong in the Lord and in his mighty power. Put on the full armor of God so that you can take your stand against the devil’s schemes…” (NIV). It is interesting to note that the “you” addressed is always in the plural and not the singular. So, while speaking about celebrating your uniqueness, I am also speaking about celebrating our identity as who we are in Christ together. All of “You’s” are made to be unique individuals set within the greater community of God. You, as “the only one,” fit together in the church that you attend (and within the church worldwide) to create a totally unique community made up of unique gifts or charisms which God gives. And these gifts are intended to enrich and expand the kingdom of God! So, who are YOU anyway? And who are WE together? Ephesians 2:10 tells us that, “…we are God’s handiwork, created in Christ Jesus to do good works, which God prepared in advance for us to do” (NIV). God has great things in store for you, Uniquely You. Enter your email address to follow our Transforming Hope blog and receive notifications of new posts by email!